California is trying to restrict the federal government’s land rights, and it’s doing it in the most California way possible — illegally and ham-handedly. Last year, California passed a law giving itself a de facto veto over the federal government’s ability to sell land in the state to private parties. Last week, the Department of Justice announced it was suing over the restriction. Unless the federal government offered the state of California a chance to buy the land first, California won’t allow a purchaser to record the deed. The purchaser also can’t get title insurance or give public notice to their rights over the land. California puts those restrictions on no other seller. It is simply discriminating against the federal government. As McClatchy reports, the law is so broad that it could restrict construction at military installations. That’s because the government sometimes sells land to developers who then build needed facilities, which is happening at Camp Parks, located west of Oakland. “We will use every legal and administrative tool to thwart (President Donald) Trump’s plans to auction off California’s heritage to the highest bidder,” said Lt. Gov. Gavin Newsom, who’s running for governor, in a statement. At least he’s being honest. In their rush to spite Mr. Trump, California leftists are ignoring basic constitutional principles. “Under our federalism, states have the right to pursue their own policy objectives, but they do not have the right to actively obstruct federal policy, interfere with federal actions or discriminate against the United States,” said Jesse Panuccio, acting associate attorney general, reported McClatchy. This isn’t even California’s most high-profile attempt to assert its authority over Washington. The Justice Department is also suing California over a law that punishes business owners for cooperating with federal immigration officials. The Supremacy Clause remains in the Constitution, so these cases shouldn’t be complicated. 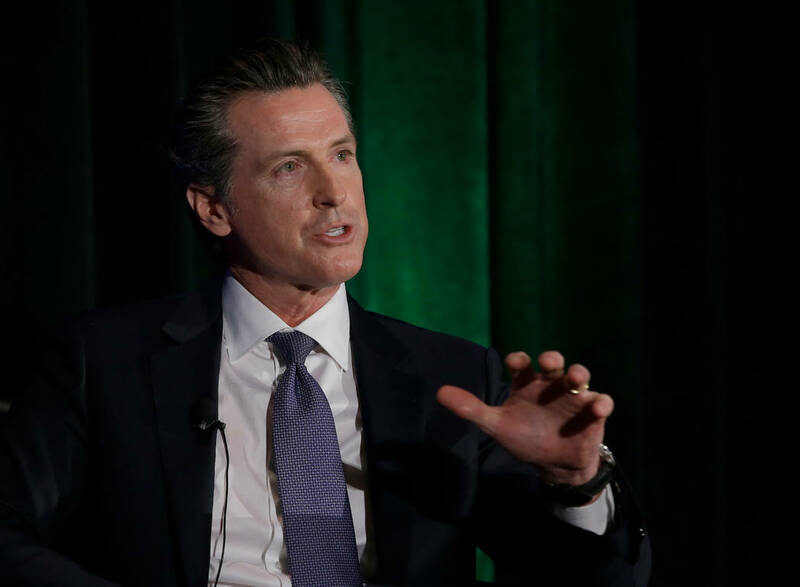 Ironically, California’s progressive political class has long looked askance at Western states that have sought more input over federal lands within their borders. But with Mr. Trump in the White House, members of the “resistance” are suddenly acting like members of the Sagebrush Rebellion. If California officials seek to challenge Washington over federal land-use decisions, they should join lawmakers in Utah, Arizona and Nevada who’ve long fought excessive federal land ownership in Western states. The federal government “owns” 39 percent of the land in Arizona, 46 percent in California and 63 percent in Utah. Nevada, as we’ve pointed out numerous times, tops that list at more than 80 percent. Rather than wasting time and taxpayer money with unconstitutional PR stunts, California should join the coalition of Western states seeking to encourage the federal government to turn over more of its vast real estate portfolio to the states. Golden State officials would then have the authority to decide what’s best for the properties in question.